Hosted by CAGJ and Community Kitchens Northwest. 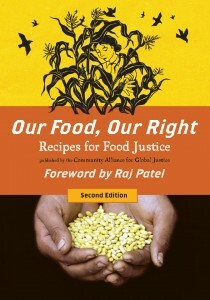 Come network with other food activist organizations and get the inside story on the 2nd edition of “Our Food, Our Right” published by CAGJ. CAGJ– a grassroots, community-based organization committed to anti-oppressive organizing as we build solidarity across diverse movements. FEEST– a youth-led improvisational dinner program that engages young people in issues of civic and social justice, food security, cultural expression, systems change and community development. Got Green- Women’s Leadership Institute addresses policy to remove the barriers to low-income women of color accessing healthy food for their families. Please RSVP to Malaika Robinson. A Special Thank You to our sponsors: Central Co-op and Union Cultural Center for their generosity in making this event fantastic! 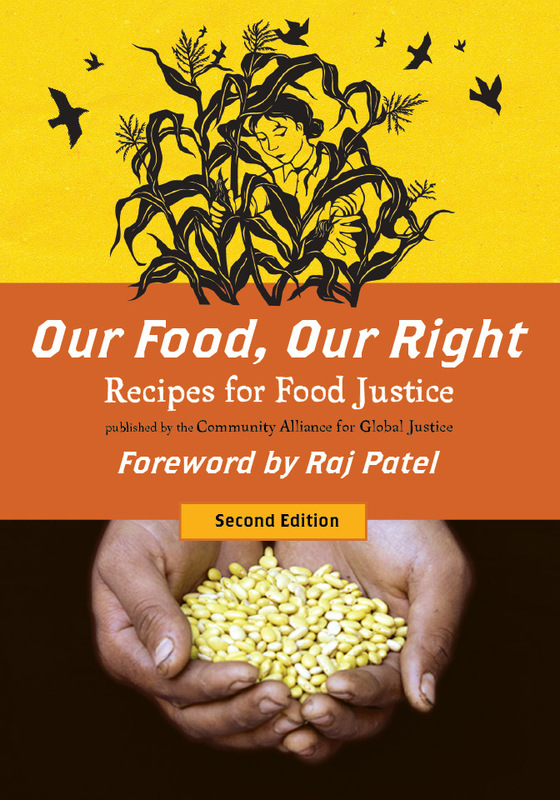 We encourage you to extend the invitation to friends, family, neighbors, and others you know who may share an interest in food justice and food activism! We look forward to seeing you all on the 29th!